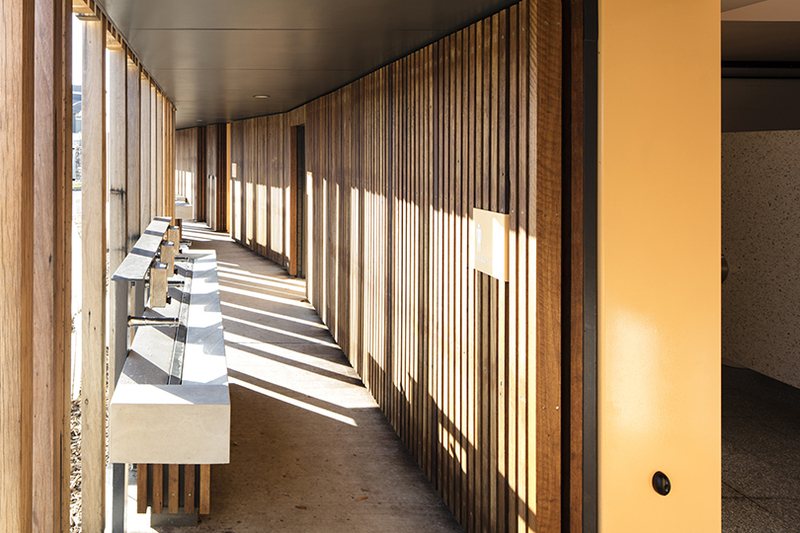 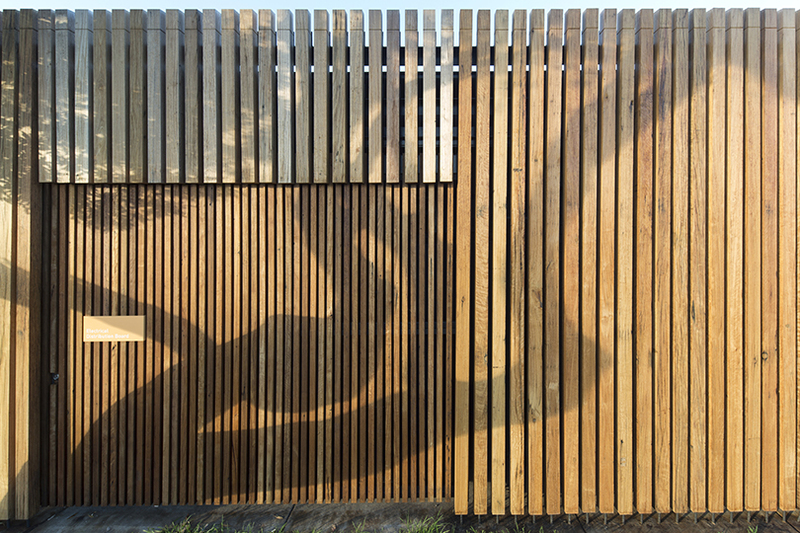 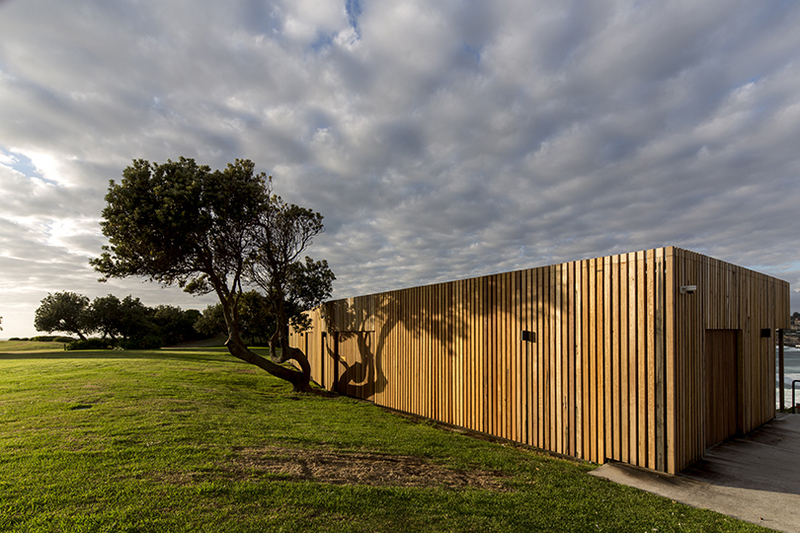 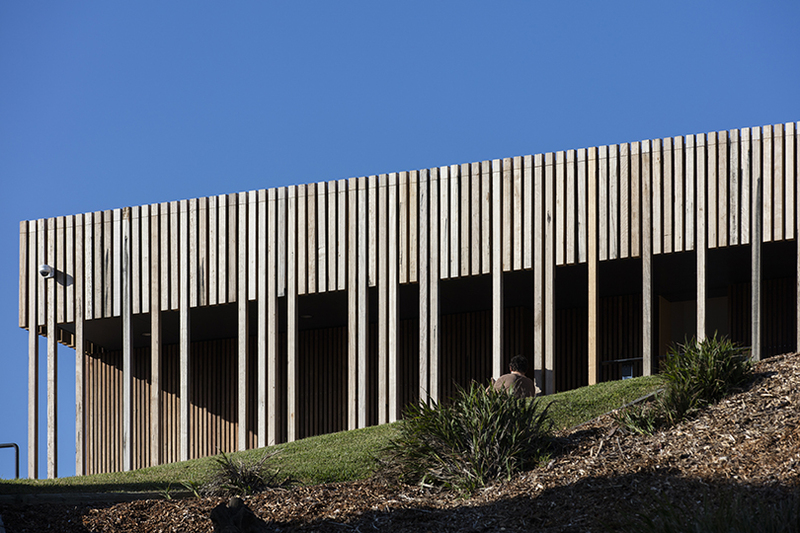 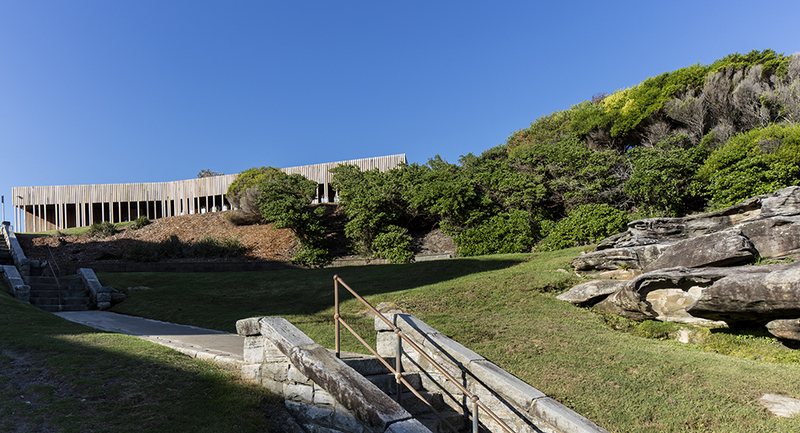 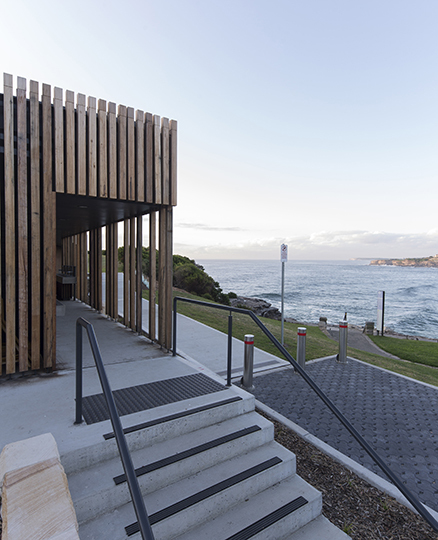 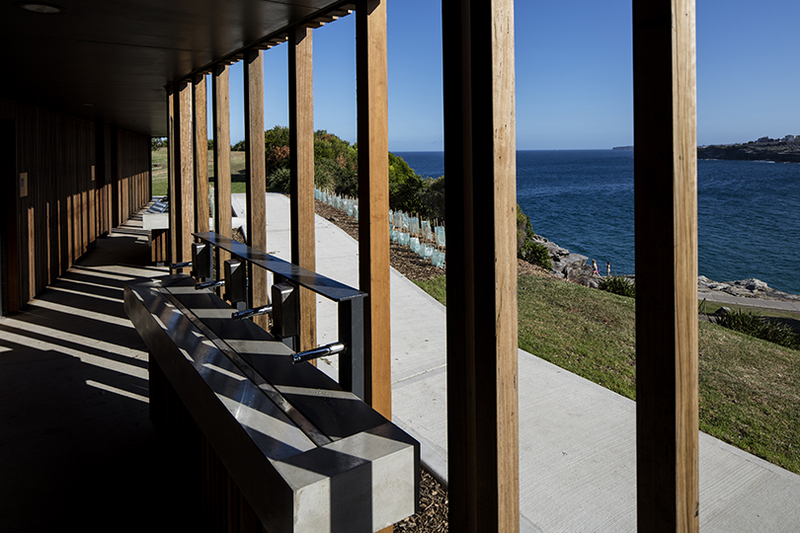 Grindley Interiors were engaged by Waverley Council to upgrade the existing amenities block at Marks Park Tamarama and complete external works. 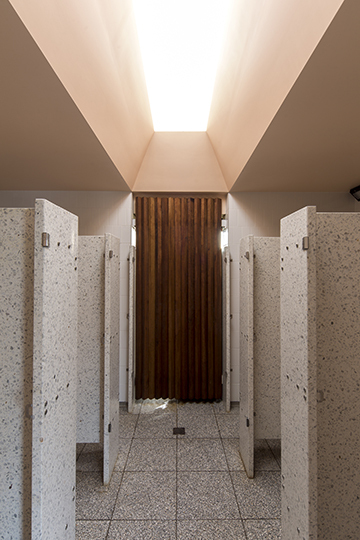 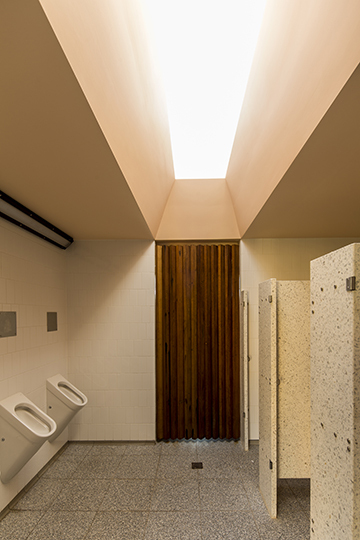 This involved the complete strip out of the existing amenities and fitout of new male and female bathrooms including services, fixtures and fittings, upgrade of the existing staffroom, new roof, driveway and external facade. 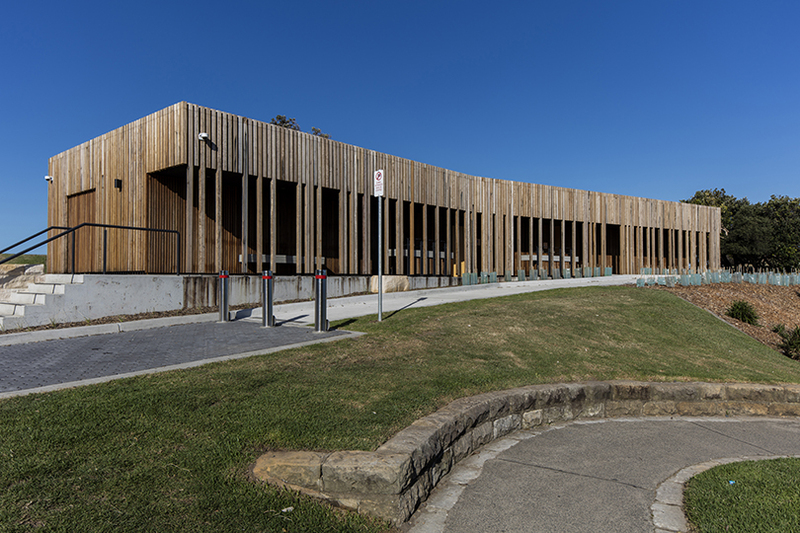 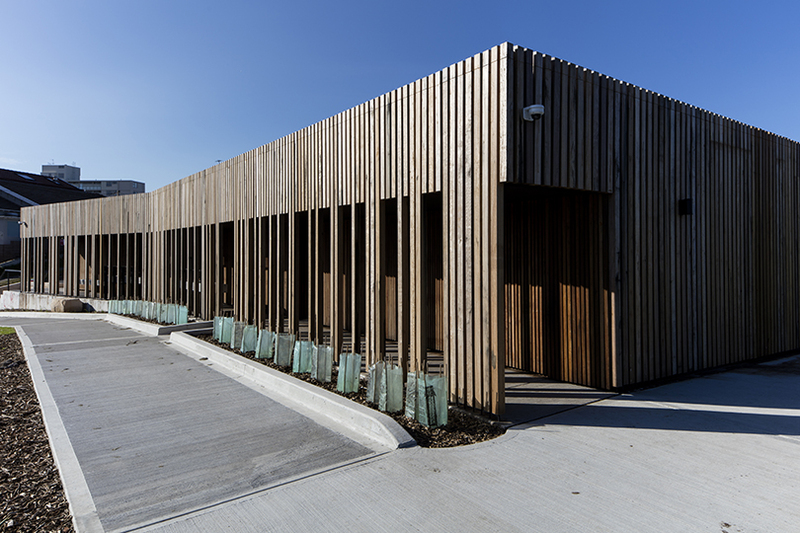 All timber used on the facade was recycled hardwood which was stripped during the demolition of Waverly Council's depot at Green Square. 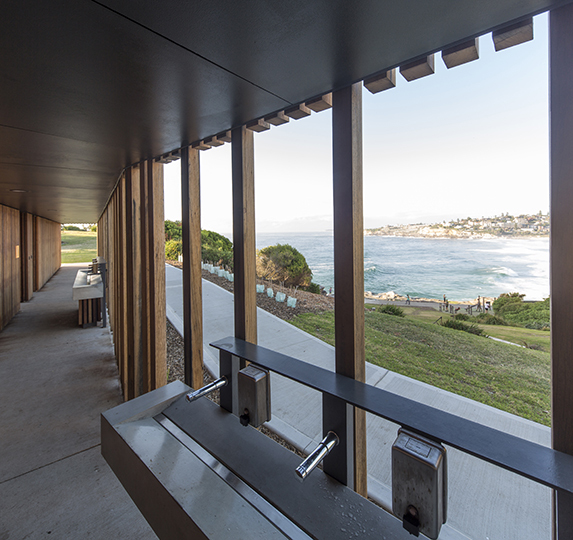 Grindley Interiors recently completed two projects for Waverley Council designed by Sam Crawford Architects; Marks Park Amenities in Tamarama and North Bondi Amenities in on Bondi Beach. 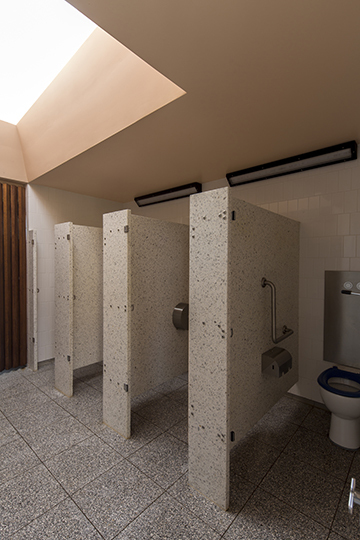 Both projects presented significant challenges, including tight construction programs, complex detailing, and, due to the public nature and location of each project, difficult construction scheduling. 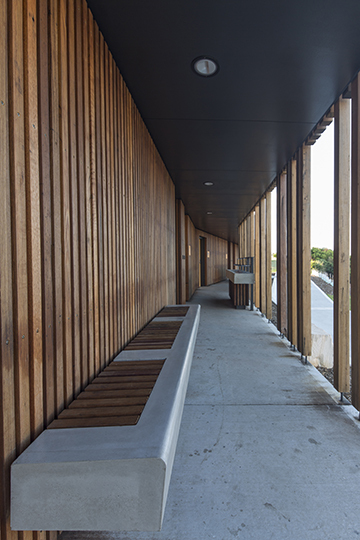 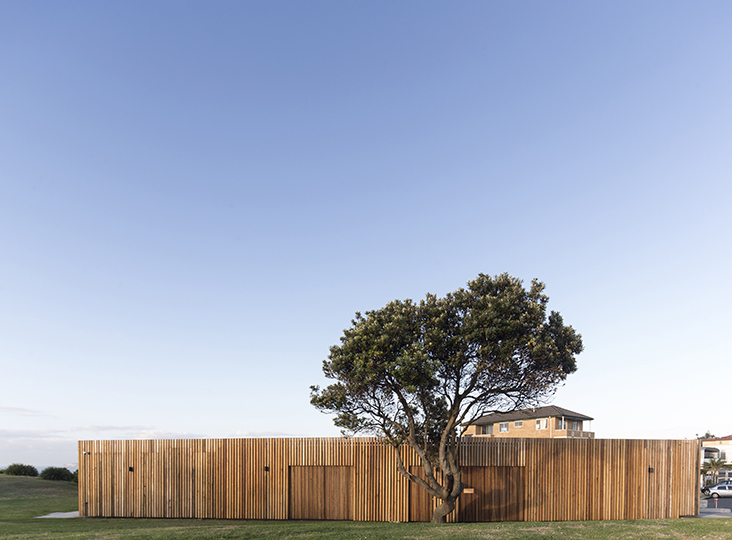 Project Manager Angela Wills and Site Foremen Brenton James and Ben Hemmings worked collaboratively with us to ensure that our design intent was carried through to the fine detail of the project, and that construction was of a very high quality. 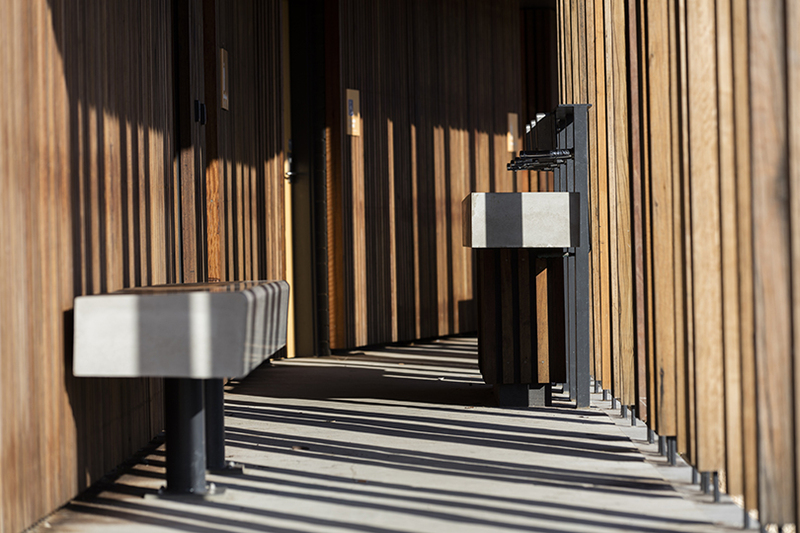 Communication was clear, professional and timely. 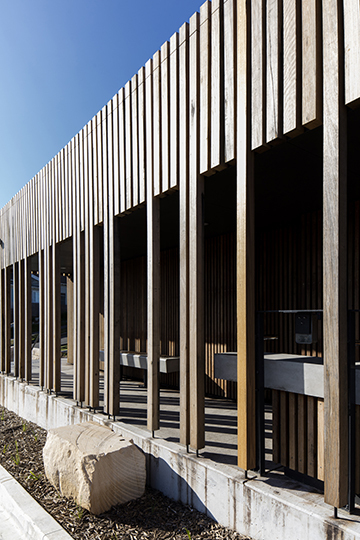 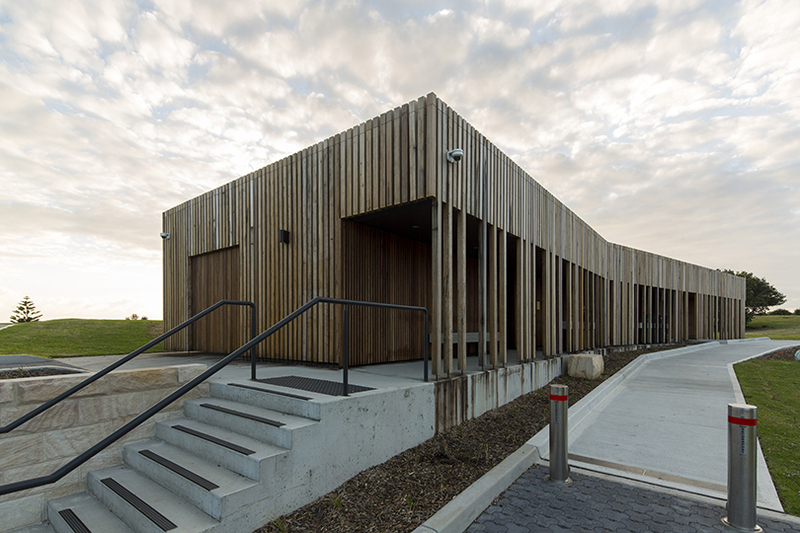 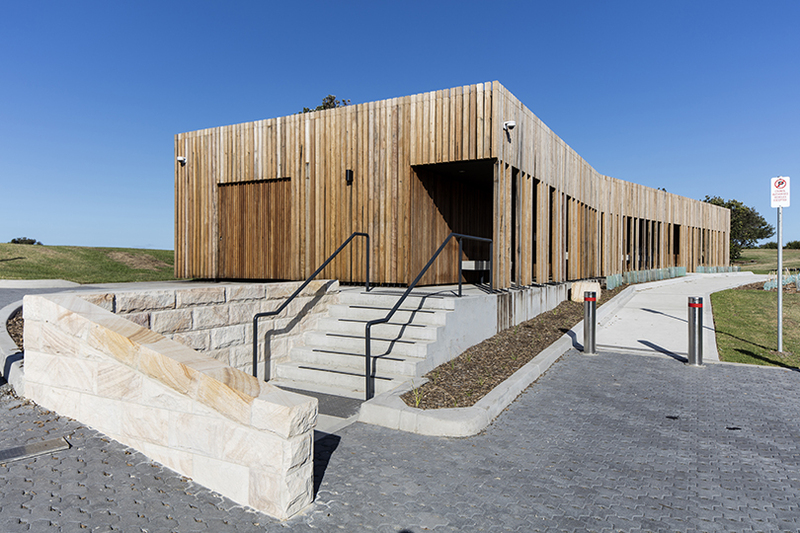 Working with Grindley Interiors was a very positive experience for Sam Crawford Architects, and resulted in an excellent built outcome for Waverley Council. 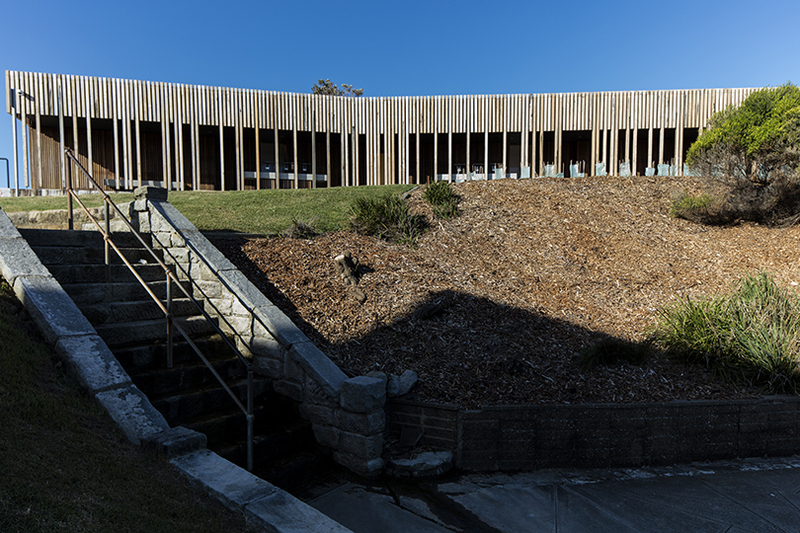 We look forward to collaborating with them on future projects.